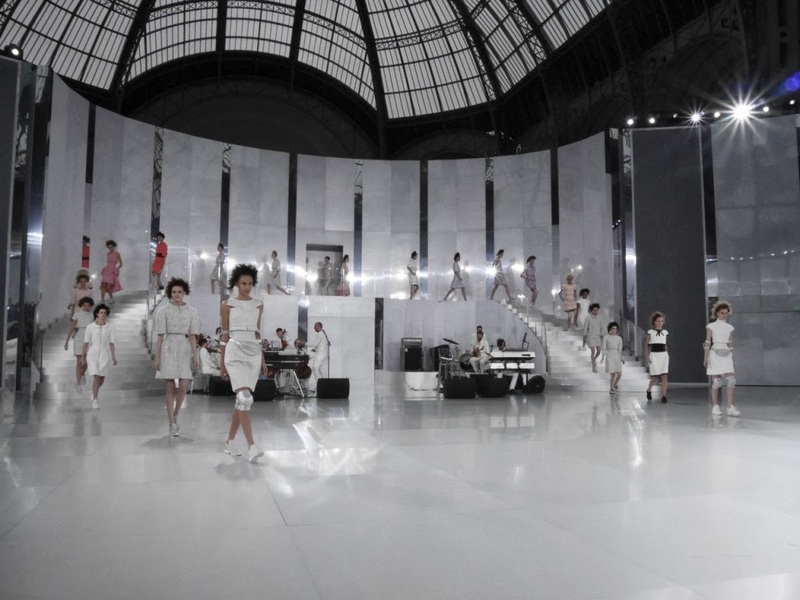 For Chanel haute couture, Karl Lagerfeld did it on his own way. Another proof of his brilliance. Colourful Jeremy Scott models from Adidas, " Air Jordan " by Nike, high-tops sneakers and influences with its relaxed, often ironic style of dress of the young generation. All his models were sent exclusively in sneakers on the catwalk. 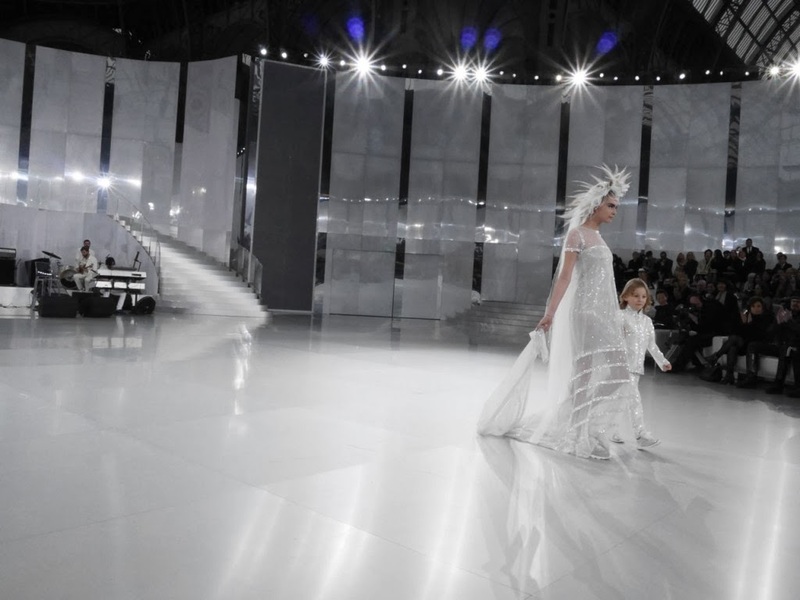 The first girl that girlish ran down the stairs at the Grand Palais: Cara Delevingne .Whether it was their attitude that inspired Karl Lagerfeld, probably remains the secret of the two, but fresh, young and unusual, that's Lagerfeld is all about, the grand master of haute couture. 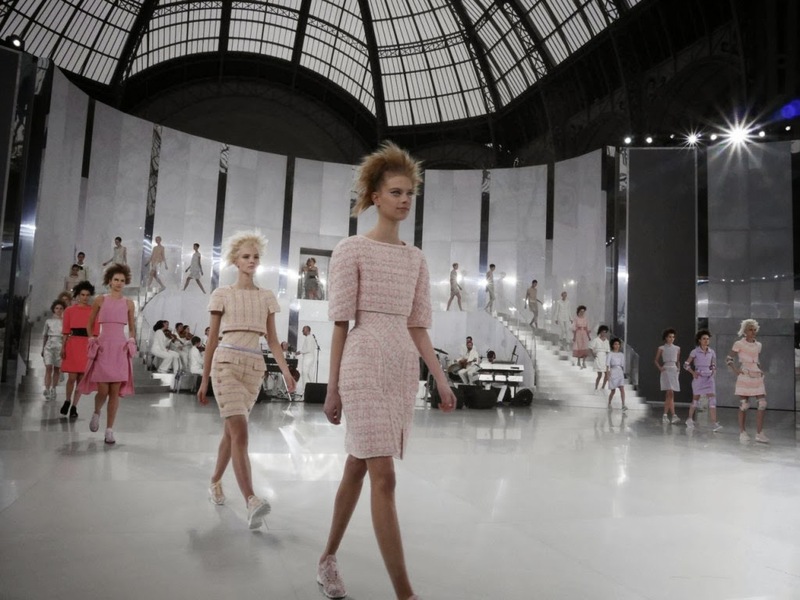 'Girl' is the keyword of Chanel's latest Haute Couture collection. 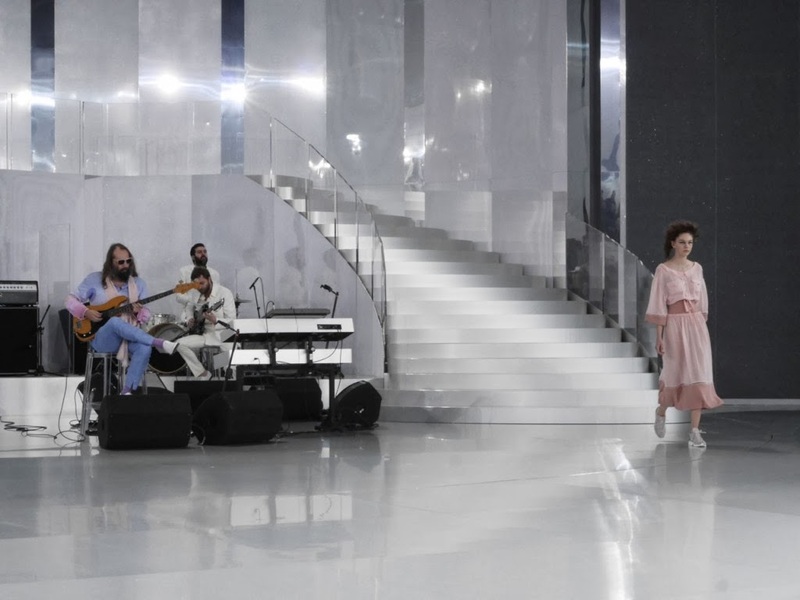 Mr. Lagerfeld gave Chanel typical pieces a girly upgrade: He worked with girlish pastels and created by the combination of skin-tight pieces and oversized cut, short tops midrift illusions. Lagerfeld gave the classic Chanel suit short balloon sleeves, he designed babydolls and flared mini dresses and long tops with combined delicate skin-tight and equally superb cycling shorts. 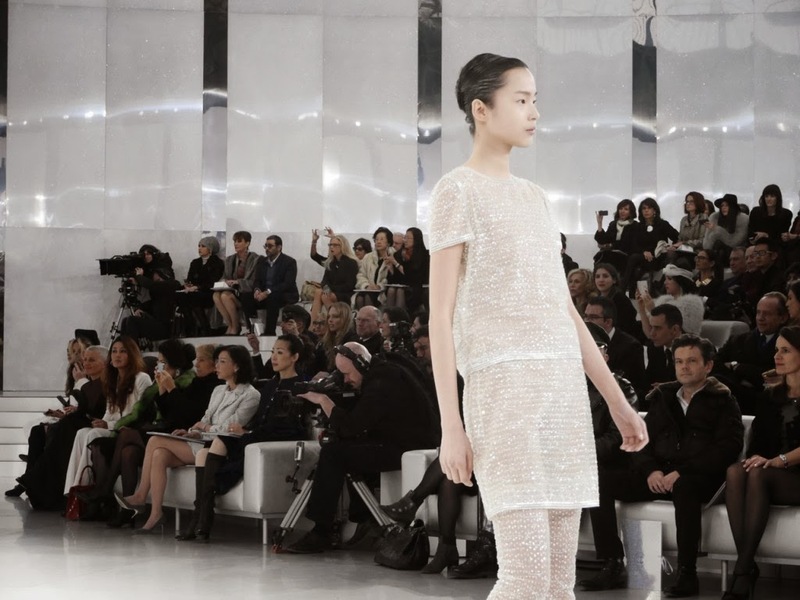 Some skirts and dresses came as the sleeves of the Chanel suits in balloon form and therefore designed a similar playful image. 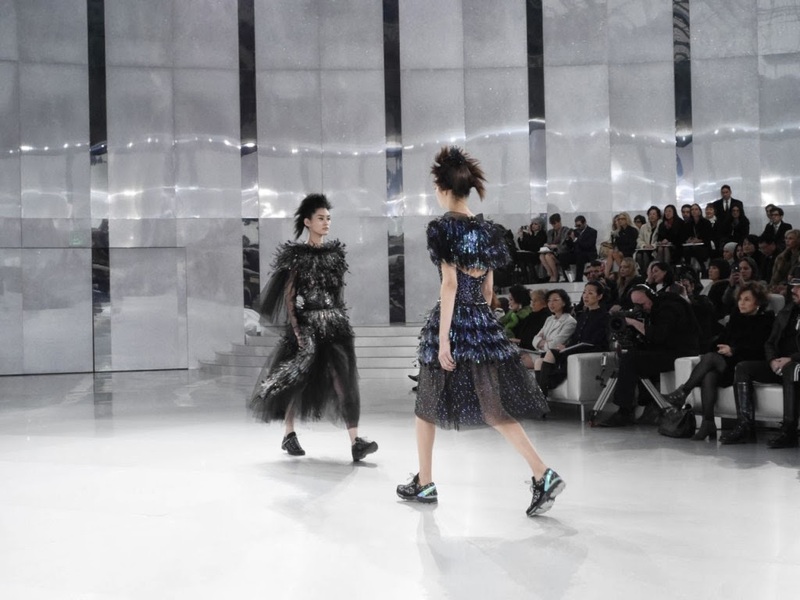 Also elaborative evening gowns were combined with sneakers: The dresses were particularly wild, partly decorated with feathers and glittering applications - Lagerfeld once again proved his expertise to find new fashionable forms of expression, even of inventing new silhouettes.Its particularly playful side was showed in many lovely details. Some outfits were equipped with matching knee pads and belly pockets, plackets were usually buttoned up to the top, sneakers were adjusted over and over embroidered and on the respective look. They all were made by Massaro, with the likes materials of python, pearls, tweed, sequins (rumour has it that the price would reach $ 5.000 a pair) and on top of all, the French singer Sébastien Tellier led a kind of chapel and designed with his music a serious, almost melancholy mood, which was in contrast to the cheerful image of fashion. 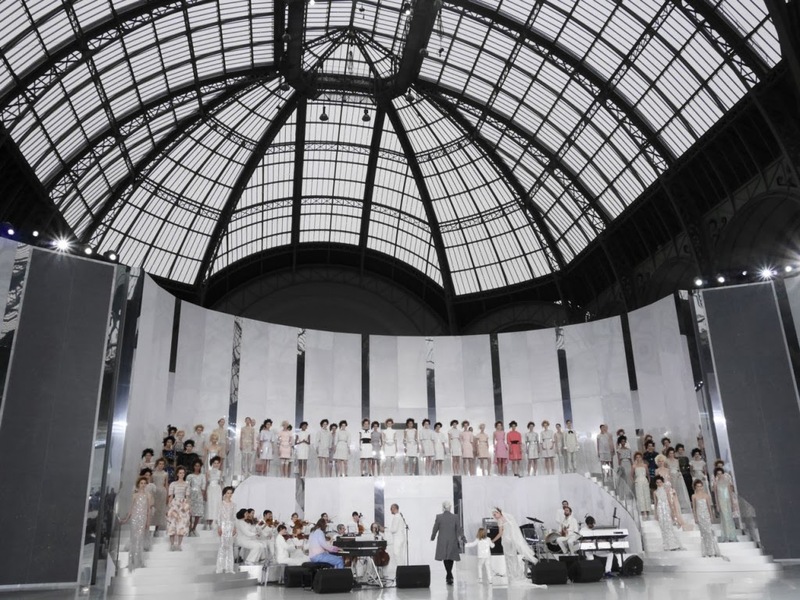 Perhaps there should be a kind of farewell to the youth, who always eventually passes, or maybe just a counterweight, which belongs to every world that signed Karl Lagerfeld to do so. The fact that couture is considered the most elaborate and technically demanding form of fashion, is undisputed. 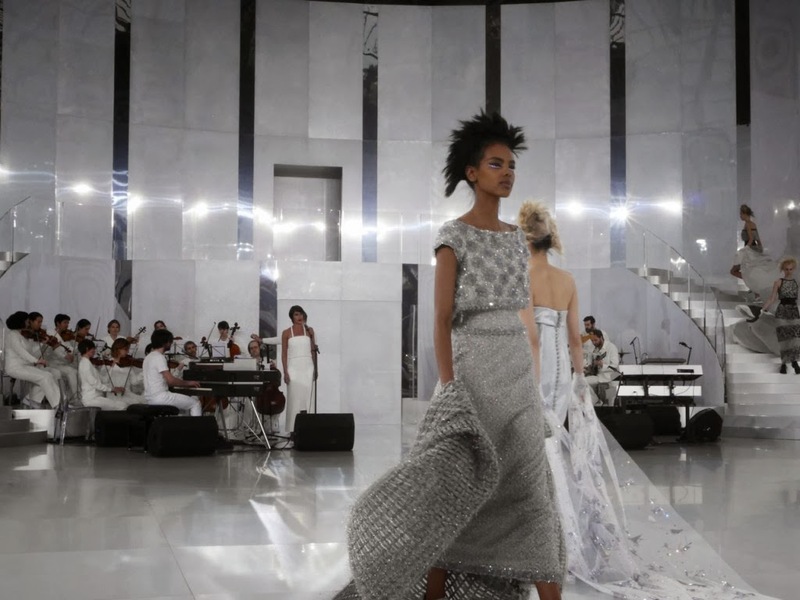 But the image that Karl Lagerfeld for Chanel Haute Couture collection created, which is traditionally one of the most important for the fashion house, was the high art of tailoring with an additional innovative touch. It was a tender, gentle, playful and especially young by the course and the attitude of the models. Is it all this for a new juvenile form of couture? Cara Delevingne's final appearance in transparent, sparkling wedding dress in T -shirt form and with sneakers gave the answer: yes !